There are some 7.5 billion people in the world. By 2050, the world population is likely to become nine billion. India, the second most populous country, has some 1.3 billion people and is expected to take the top position by overtaking China by 2050. Amidst increasing numbers, concerns over feeding the population and sustaining the resources are on top of the mind of governments, experts and planners. It is to address these issues and others related to population that the World Population Day is celebrated on July 11. The Day was first celebrated in 1989 when the world population reached five billion. 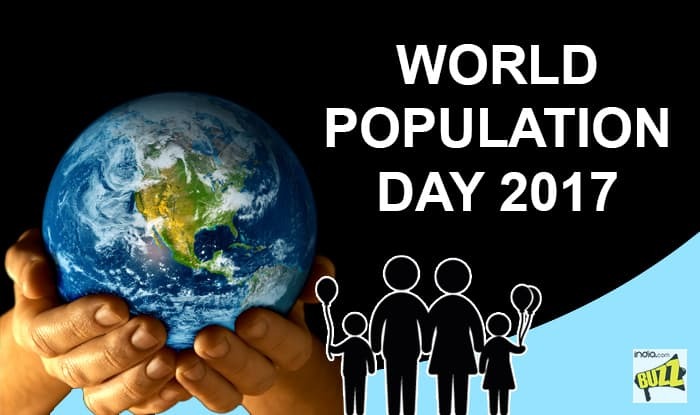 Governing Council of the United Nations Development Programme recommended that 11 July be observed by the international community as World Population Day, to focus attention on the urgency and importance of population issues. Since then, population trends and matters such as reproductive health, contraception and challenges posed by the increasing population are deliberated upon on this day. The theme for 2017 World Population Day is “Family Planning: Empowering People, Developing Nations.” This year's celebrations also coincide with the Family Planning Summit, the second meeting of the Family Planning 2020 (FP2020) initiative, which aims to expand access to voluntary family planning to 120 million additional women by 2020. The theme this year has special significance since data indicates that some 214 million women in developing countries who want to avoid pregnancy are not using safe and effective family planning methods. Most of these women with an unmet demand for contraceptives live in 69 of the poorest countries. Lack of adequate family planning services jeopardizes women’s health. Women are not able to use these services due to lack of access to information, or services, or support from their partners, or communities. Considering its importance in stabilizing population, access to safe, voluntary family planning methods is considered a human right and central to gender equality and women’s empowerment. It is also seen as a key factor in reducing poverty. Investments in making family planning available yield economic gains which further propel development. India with its large population also has huge unmet need for family planning which government is trying to overcome. Statistics (DLHS III) indicate young population has an unmet need of 20.5 per cent at the national level - 13.3 per cent need for limiting methods and 7.2 per cent for spacing methods. Women between 15 and 19 years have an unmet need of 28.3 per cent and those between 20 and 24 years, have an unmet need of 28.5 per cent. Between 2001 and 2011 India added 181 million people to the world, slightly less than the entire population of Brazil. Much of India’s population increase has occurred among the poorest socio-economic percentile. India’s huge population and the fact that it is expected to increase further - according to government projections, the population is expected to reach 1.55 billion by 2035 – pose both a challenge and an opportunity. Since more than 60 per cent of this population will be in the younger age bracket, below the age of 40 years, there will be economic gains if this human resource is provided with education and training in skill development. However, providing healthcare services to this pool of youth so that it is healthy and able to contribute to country’s economy may turn out to be a challenge. In addition, taking care of the geriatric population, which goes up to about 223 million by 2035, will also be a challenge and require preventive, curative and geriatric care. While providing food to the ever increasing world population is a challenge, the UN has set ending hunger, achieving food security and improved nutrition, and promoting sustainable agriculture as the second of its 17 Sustainable Development Goals (SDGs) for the year 2030. Achieving these objectives will require addressing issues like gender parity, ageing populations, skills development and global warming. According to experts, agriculture sector will have to become more productive by adopting efficient business models and forging public-private partnerships. It will also need to become sustainable by reducing greenhouse gas emissions, water use and waste. For India, it is imperative that it adopts effective measures to control its population. According to a paper by Ranjit Goswami, IMT, Nagpur in East Asia Forum, the global demand for water in 2050 is projected to be more than 50 per cent of what it was in 2000, and demand for food will double. On average, a thousand tons of water is required to produce one ton of food grains. It is for this reason that international disputes about water have increasingly been replicated among states in India, where the Supreme Court is frequently asked to intervene. Keeping aside the projections, government data indicates that India's total fertility rate has declined from 2.6 in 2008 to current 2.3. India is now just 0.2 points away from reaching the replacement level of 2.1. In fact, 24 states have already achieved replacement level fertility and about 60 per cent of the population resides in states where replacement fertility has been reached or will soon be met including the southern states, West Bengal, Maharashtra, Gujarat and Punjab. The government is now accelerating family planning measures. It has identified 146 districts with total fertility rate, the number of children born per woman, of more than three to focus on. These districts are in the seven states of Uttar Pradesh, Bihar, Rajasthan, Madhya Pradesh, Chhattisgarh, Jharkhand and Assam and make 28 per cent of the country’s population. The health ministry is starting a programme called "Mission Parivar Vikas" in these districts to improve access to family planning services, create awareness and make family planning choices available. Besides, government is already running a strategy to push up the age of marriage of girls and delay in first child and spacing in second child. The couples who adopt this strategy are awarded suitably. Under another programme called Santushti Strategy, Jansankhya Sthirata Kosh, has invited private sector gynaecologists and vasectomy surgeons to conduct sterilization operations in public private partnership mode. The private hospitals/nursing homes which achieve target are suitably awarded as per strategy.